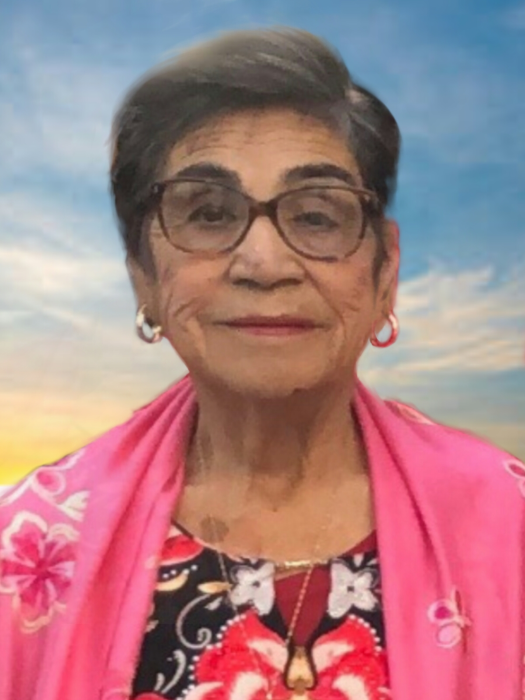 We are coming together to announce the passing of Audelia Plancarte Gonzalez, daughter, wife and mother who left us on Saturday March 23, 2019. Audelia was born to Ignacio Plancarte and Antonia Arevalos in El Llano, Michoacán, Mexico. She was born into a merchant family, where her father held occupations as a butcher, agriculture worker and fruit stand owner. Audelia then met and married the love of her life, Rafael Ochoa Gonzalez, whom god collected on February 18, 2016. They met in their home town of El Llano, Michoacán where together they had seven children: Juan, Antonia, Angelina, Rafael, Jesus, Leticia and Patricia. Rafael was an agricultural worker who grew and harvested maiz and garbanzos in Mexico, and later grew to support the grape, date, fig fruit industry crops along the state of California. Audelia finally immigrated to Napa, California in July 22, 1973 with her family to work in the grape harvest and wine production industries. She spent 20 years as an agricultural worker before transitioning to childcare for her 24 grandchildren and 24 great grandchildren. Audelia enjoyed 66 years of marriage to Rafael and was also privileged to meet two of her great-great-grandchildren. Audelia was a friendly, kind person who enjoyed having a good time with friends and family. She had a heart of gold, and always put her family first. The love, care and compassion she shared with her children, grandchildren and family radiate with all her loved ones. Audelia was family oriented, outgoing, friendly, caring, loving and respectful. She enjoyed cooking traditional meals for family, shopping for new clothes, jewelry or accessories, trying out new restaurants and crafting as hobbies. One can’t forget the love, affection and attention she gave you when she spoke with you - she was truly a genuine spirit who wanted the best for family. She will forever be missed, though never forgotten. Her teachings and lessons will continue to guide us to become the best person one can be. On behalf of your family and friends, we thank and appreciate you for being the special person you were and for helping us grow into the persons we have become. Please join us in celebrating Audelia with her friends and family at Tulocay Cemetery on Monday April 1 and Tuesday April 2. The viewing will take place Monday April 1 from 12 pm - 8 pm, with a rosary at 6:30 pm. Please join us Tuesday April 2 for mass at 10 am at St. John’s, The Baptist Church in Napa, with the burial to follow right after at Tulocay Cemetery in Napa. A reception will follow the burial. Thank you for all the special moments you brought to us Audelia, we thank you and wish you the best as you reconnect with your family in friends in heaven. Until we meet again one day; we’ll have many more stories to share with you.